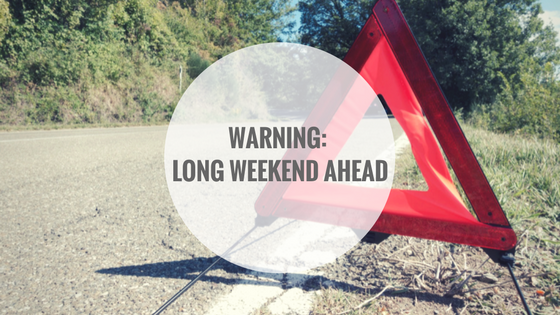 Warning: Long Weekend ahead! This warning is one we re-post every year as, unfortunately, many need a reminder to make smart and safe choices during this first long weekend of the season. While the Victoria Day long weekend is often a kick-off to summer, it is also known as one of the deadliest weekends in Canada. Impaired driving and boating numbers are highly elevated during long weekends and MADD Canada estimates that impaired driving kills between 1,250 and 1,500 people every year, and injures more than 63,000 in Canada. The following PSA is a great reminder of the effects drinking and driving can have on your life and on the life of someone else. So please, while you enjoy this first long weekend of the season, think smart and be safe. Don’t drink and drive.